Here are two bellworts with “perfoliate” leaves but a few subtle differences. Large-flowered bellwort is a tall, nodding plant in springtime with large, dark yellow flowers that are sometimes hard to see because they can be hidden in leaves. The yellow “petals” hang in a disorderly, twisted fashion and the petals are smooth inside. As the plant grows and the stem lengthens, the stem appears to be “threaded” through the leaves (perfoliate= leaves perforated by the stem) in an unusual manner. This plant is both odd and striking at the same time! 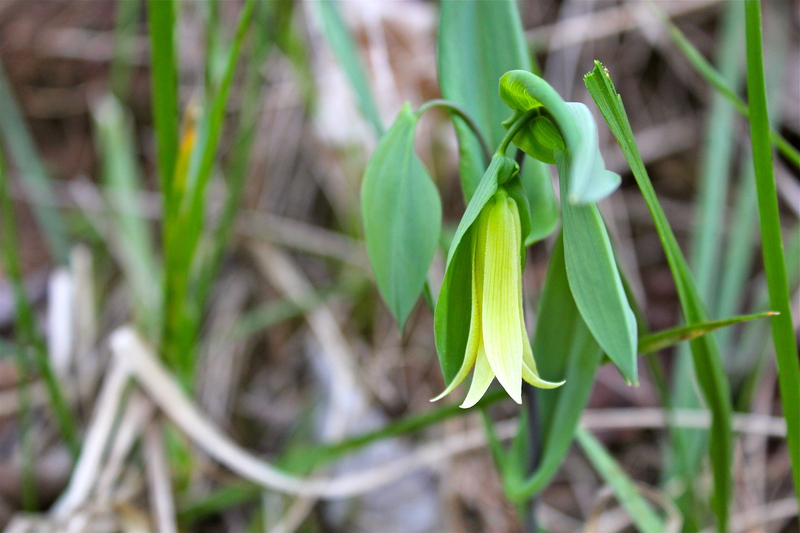 Look for large-flowered bellwort, often in colonies, growing in moist woods in late March and April in Virginia. The flowers of Perfoliate Bellwort are smaller and paler than the largeflower bellwort, and the petals are not twisted. The inside of the petals are rough, with small orange or yellow bumps. The name of the plant of course, is a description of the characteristic perfoliate leaf, which by definition is “a sessile leaf that completely clasps the stem and is pierced by it”. 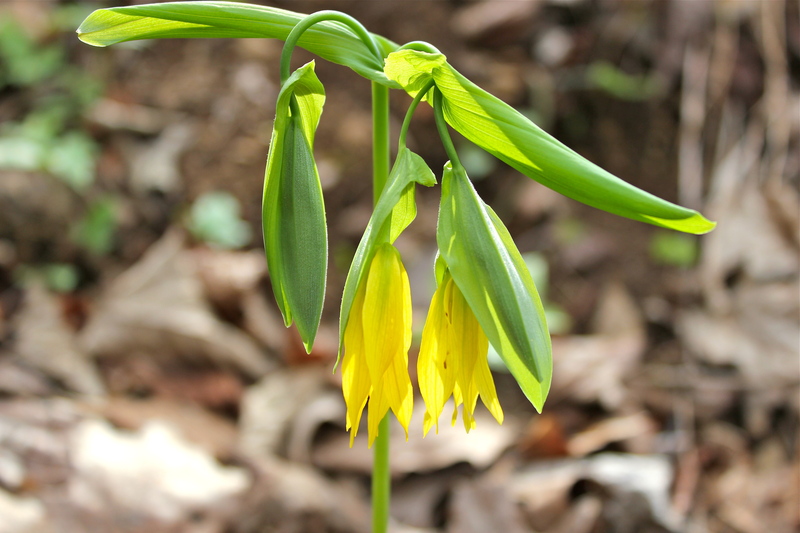 Finally, be aware of two more bellwort species that grow in our state– they both have narrow, pale yellow flowers: Sessile Bellwort and Mountain Bellwort.